The Hearthstone House is a significant historic landmark in Appleton, being the first house in the world to have its power come from a central hydroelectric station. Completed in about 1882, it used Thomas Edison's lighting system, with fixtures that have been preserved and can be seen today in the home. Tours are offered Tuesday through Saturday, with a small admission fee. For details, see the Hearthstone House page at FOCOL. It's a beautiful place and well worth visiting. A lot of people also enjoy volunteering there as tour guides and assistants. And there are occasional open houses and socials there. Great place! Finally made it inside this beautiful house after driving past nearly everyday for 20 years!! 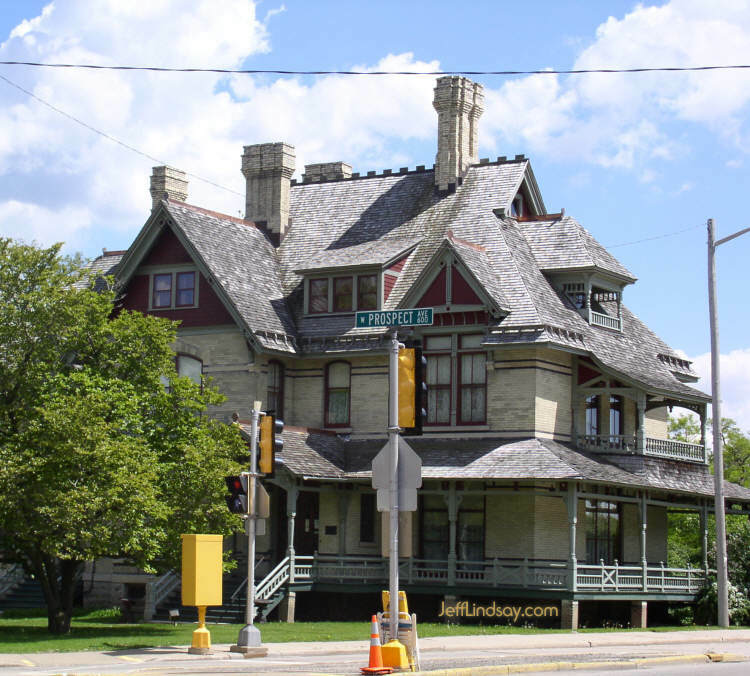 A great museum, a hidden Appleton gem. Tourguides were very informative on Appleton early history, Victorian customs, electrical history. Beautiful hardcarved woodwork, painted decorative ceilings, great period antiques. Great for kids over 8 years old. I'm glad I didn't drive by again!! Hey Appleton, support your local history and check this place out. It would be sad to lose something like this!!! They are open Tuesday-Saturdays. $5, tours last about 45 minutes or so. We also stopped by over Christmastime. What a beautiful home. Hard to believe that families lived in this house until 20 years ago. Very lucky that no one turned it into apartments or a parking lot! I agree, very informative tour and very beautiful house - loved the woodwork and fireplace (9 of them!) all with decorative tiles. I also agree - this is a hidden gem in Appleton and all residents need to support its early electrical history. Wisconsin Fungus: So Many Varieties!